Early record albums were packages of 78 rpm records in book form. Albums of recorded music were developed in the early 20th century, first as books of individual 78rpm records, then from 1948 as vinyl LP records played at 33 1⁄3 rpm. Vinyl LPs are still issued, though in the 21st century album sales have mostly focused on compact disc (CD) and MP3 formats. The audio cassette was a format used from the late 1970s through to the 1990s alongside vinyl. The LP record (long play), or 33 1⁄3 rpm microgroove vinyl record, is a gramophone record format introduced by Columbia Records in 1948. It was adopted by the record industry as a standard format for the "album". Apart from relatively minor refinements and the important later addition of stereophonic sound capability, it has remained the standard format for vinyl albums. The term "album" had been carried forward from the early nineteenth century when it had been used for collections of short pieces of music. Later, collections of related 78rpm records were bundled in book-like albums. When long-playing records were introduced, a collection of pieces on a single record was called an album; the word was extended to other recording media such as compact disc, MiniDisc, Compact audio cassette, and digital albums, as they were introduced. As part of a trend of shifting sales in the music industry, some commenters have declared that the early 21st century experienced the death of the album. While an album may contain as many or as few tracks as required, the criteria for the UK Albums Chart is that a recording counts as an "album" if it either has more than four tracks or lasts more than 25 minutes. Sometimes shorter albums are referred to as "mini-albums" or EPs. Albums such as Tubular Bells, Amarok, Hergest Ridge by Mike Oldfield, and Yes's Close to the Edge, include fewer than four tracks. There are no formal rules against artists such as Pinhead Gunpowder referring to their own releases under thirty minutes as "albums". A bonus track (also known as a bonus cut or bonus) is a piece of music which has been included as an extra. This may be done as a marketing promotion, or for other reasons. It is not uncommon to include singles as bonus tracks on re-issues of old albums, where those tracks weren't originally included. Online music stores allow buyers to create their own albums by selecting songs themselves; bonus tracks may be included if a customer buys a whole album rather than just one or two songs from the artist. The song is not necessarily free nor is it available as a stand-alone download, adding also to the incentive to buy the complete album. In contrast to hidden tracks, bonus tracks are included on track listings and usually do not have a gap of silence between other album tracks. Although recording in a studio can be done using large multi-track systems with many overdubs and different takes of the same instrument, some recordings may be done "live" in order to reproduce the feel and energy of a live performance. Basic parts such as drums and rhythm guitar may be recorded live, with overdubs such as solos and vocals recorded later. Studio recordings may be mixed and mastered at different facilities. Vinyl LP records have two sides, each comprising one half of the album. If a pop or rock album contained tracks released separately as commercial singles, they were conventionally placed in particular positions on the album. 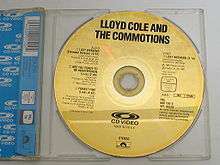 A common configuration was to have the album led off by the second and third singles, followed by a ballad. The first single would lead off side 2. In the past many singles (such as the Beatles' "Hey Jude" and Bob Dylan's "Positively 4th Street") did not appear on albums, but others (such as the Beatles' "Come Together" and Dylan's "Like a Rolling Stone") formed part of an album released concurrently. Today, many commercial albums of music tracks feature one or more singles, which are released separately to radio, TV or the Internet as a way of promoting the album. Albums have also been issued that are compilations of older tracks not originally released together, such as singles not originally found on albums, b-sides of singles, or unfinished "demo" recordings. Album sets of the past were sequenced for record changers. 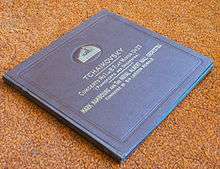 In the case of a two-record set, for example, sides 1 and 4 would be stamped on one record, and sides 2 and 3 on the other. The user would stack the two records onto the spindle of an automatic record changer, with side 1 on the bottom and side 2 (on the other record) on top. Side 1 would automatically drop onto the turntable and be played. When finished, the tone arm's position would trigger a mechanism which moved the arm out of the way, dropped the record with side 2, and played it. When both records had been played, the user would pick up the stack, turn it over, and put them back on the spindle—sides 3 and 4 would then play in sequence. Record changers were used for many years of the LP era, but eventually fell out of use. The MP3 audio format has come along, revolutionizing the concept of digital storage. Early MP3 albums were basically CD-rips created by early CD-ripping software, and sometimes real-time rips from cassettes and vinyl. The so-called "MP3 album" isn't necessarily just in MP3 file format, in which higher quality formats such as FLAC and WAV can be used on storage mediums that MP3 albums reside on, such as CD-R-ROMs, hard drives, flash memory (e.g. thumbdrives, MP3 players, SD cards), etc. An album may be recorded in a recording studio (fixed or mobile), in a concert venue, at home, in the field, or a mix of places. Recording may take a few hours to several years to complete, usually in several takes with different parts recorded separately, and then brought or "mixed" together. Recordings that are done in one take without overdubbing are termed "live", even when done in a studio. Studios are built to absorb sound, eliminating reverberation, so as to assist in mixing different takes; other locations, such as concert venues and some "live rooms", allow for reverberation, which creates a "live" sound. Concert or stage performances are recorded using remote recording techniques. Live albums may be recorded at a single concert, or combine recordings made at multiple concerts. They may include applause and other noise from the audience, comments by the performers between pieces, improvisation, and so on. They may use multitrack recording direct from the stage sound system (rather than microphones placed among the audience), and can employ additional manipulation and effects during post-production to enhance the quality of the recording. The best-selling live album worldwide is Garth Brooks' Double Live, having sold in excess of 21 million copies as of November 2006. In Rolling Stone's 500 Greatest Albums of All Time 18 albums were live albums. A solo album, in popular music, is an album recorded by a current or former member of a rock group which is released under that artist's name only, even though some or all other band members may be involved. The solo album appeared as early as the late 1940s. A 1947 Billboard magazine article heralded "Margaret Whiting huddling with Capitol execs over her first solo album on which she will be backed by Frank De Vol". There is no formal definition setting forth the amount of participation a band member can solicit from other members of his band, and still have the album referred to as a solo album. One reviewer wrote that Ringo Starr's third venture, Ringo, "[t]echnically... wasn't a solo album because all four Beatles appeared on it". Three of the four members of the Beatles released solo albums while the group was officially still together. A performer may record a solo album for a number of reasons. A solo performer working with other members will typically have full creative control of the band, be able to hire and fire accompanists, and get the majority of the proceeds. The performer may be able to produce songs that differ widely from the sound of the band with which the performer has been associated, or that the group as a whole chose not to include in its own albums. Graham Nash, of The Hollies described his experience in developing a solo album as follows: "The thing that I go through that results in a solo album is an interesting process of collecting songs that can't be done, for whatever reason, by a lot of people". A solo album may also represent the departure of the performer from the group. 1 2 Philip Newell (18 Jul 2013). Recording Studio Design. Taylor & Francis. pp. 169–170. ↑ "Album Cover Art Series". Rock Art Picture Show. Retrieved 30 May 2012. ↑ "The history of the CD – The 'Jewel Case'". Philips Research. Retrieved 30 May 2012. 1 2 "Mendelssohn And Schumann". Old and Sold. Retrieved 29 May 2012. 1 2 3 4 5 "About Vinyl Records". Record Collector's Guild. Retrieved 29 May 2012. ↑ "First LP released". wired.com. ↑ "Rules For Chart Eligibility – Albums" (PDF). The Official UK Charts Company. January 2007. Archived from the original (pdf) on 27 June 2007. Retrieved 20 April 2007. ↑ "As albums fade away, music industry looks to shorter records". Associated Press. Retrieved 1 June 2012. ↑ "JJ Cale Obituary". telegraph.co.uk. 28 July 2013. ↑ "100 Greatest Albums: 16 Beck Odelay". Spin: 75. July 2008. ↑ "UK Fave Tom McRae Bows In States Via Arista". Billboard: 11. 18 Aug 2001. ↑ Matt Fowler (14 January 2014). "15 Legendary Albums That Were Recorded in Bedrooms, Kitchens, and Garages". mic.com. ↑ Michael Duncan (12 February 2015). "10 Classic Albums Made Outside the Recording Studio". sonicscoop.com. ↑ Tyler Kane (17 January 2012). "10 Great Albums Recorded at Home". pastemagazine.com. ↑ Bruce Bastin (1 Jan 1995). Red River Blues: The Blues Tradition in the Southeast. University of Illinois Press. p. 64. ↑ "Rare 1979 soul album recorded in a prison gets reissue". thevinylfactory.com. ↑ Bob Buontempo (16 May 2013). "Can Award-Winning Recordings Be Made In A Home Studio?". prosoundweb.com. ↑ Frank Mastropolo (23 October 2014). 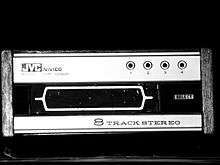 "A Look Back at the Rolling Stones Mobile Studio: 'A Watershed Moment in Recording Technology'". ultimateclassicrock.com. ↑ "Chronology: Technology and the Music Industry". Callie Tainter. Retrieved 30 May 2012. ↑ "What Are 8-Track Tapes?". wisegeek.com. Retrieved 14 February 2015. ↑ Moore, Dan. "Collector's Corner: The History Of The Eight-Track Tape". Goldmine magazine. Retrieved 23 September 2016. ↑ "What Are 8-Track Tapes?". Retrieved 2014-01-22. ↑ Moore, Dan. "Collector's Corner: The History Of The Eight-Track Tape". Goldmine magazine. Retrieved 14 February 2015. ↑ "What Are 8-Track Tapes?". wisegeek.com. Retrieved 23 September 2016. 1 2 3 4 5 "History of Compact Cassette". Vintage Cassettes. Retrieved 30 May 2012. ↑ Haire, Meaghan (1 July 2009). "A Brief History of The Walkman". Time. Retrieved 31 May 2012. 1 2 3 "Mixtape History". MTV. Retrieved 5 July 2012. 1 2 "The History of Recorded Music". Music Cd Industry. Retrieved 30 May 2012. ↑ "Demo Tapes". Dave Mandl. Retrieved 5 July 2012. ↑ "Cassette Revival". Mediageek. Retrieved 5 July 2012. 1 2 "The history of the CD – The beginning". Philips Research. Retrieved 30 May 2012. ↑ "Scary Stat: Album Sales Down 54.6 Percent Since 2000...". Digital Music Newss. Retrieved 5 June 2012. ↑ Billboard Magazine (April 5, 1947), p. 21. ↑ Jay Warner, On this day in music history (2004), p. 323. ↑ Dave Zimmer, 4 way street: the Crosby, Stills, Nash & Young reader (2004), p. 218.